If, like Rip Van Winkle, you've been asleep for the last decade and have just woken up, that flip phone you have has become super-popular among retro technologists and survivalists alike, and, oh yeah, Artificial Intelligence (AI) is either going to kill you or save you. AI is the latest in a long line of technology buzzwords that have gripped society, and if we are to believe the people at the respected technology analysts firm Gartner Inc., 2018 will be the year in which AI is truly integrated into our daily lives. As unnerving as the surreal robotics being cooked up at Boston Dynamics or the deployment of facial recognition AI in Chinese public schools may seem, this technology is a product of the human condition and as such, we are embedding our own culture within its coded DNA. Debates about AI currently focus on the notion of ethics. In the study of culture, ethics are embedded within values, and they've become an important part of the deliberations about how AI will integrate into our lives. What hasn't been discussed is whose ethics, and ultimately whose values, we are talking about. Is it Western versus Eastern, or is it American versus everyone else? As values within culture are influenced by the community and larger society, ethics are dependent on the cultural context in which communal values have developed. Thus, culture plays an important role in the formation of AI through what's known as the enculturation of that data. Anthropologist Genevieve Bell, the previous Intel vice-president and cultural visionary, was able to steer the tech giant towards a more profound understanding of how culture and AI interplay with each other. Bell's research indicated that human interaction with technology is not culturally universal. It is neither the same nor objective, and we encode culture within and throughout technology at a conscious and unconscious level. If this is true, what happens in the eventual development of culture in AI? For anthropologists, human cultural evolution has many markers: The manipulation of tools, the development of abstract thought, and more fundamentally, the creation of language in which to communicate. Culture begins when two or more living entities start to communicate and exchange information and, with more complexity, ideas. Cultural development among non-human AI entities is something that hasn't been discussed yet, let alone the melding of human and AI culture. Recently, Facebook's AI research group (FAIR) made brief mention of an experiment in which two bots were tasked with negotiating with each other. It was reported at the time that the bots began to develop a more efficient language to communicate with one another. Facebook computer science researchers quickly pulled the plug on what was rapidly becoming the development of a more efficient AI language between the two bots, not because they were frightened of the emergence of AI self-creation, but because the bots did not return expected results —a negotiation in English. In a world where code is essentially made up of zeroes and ones, yes or no commands, there isn't much room for the unexpected. But at times, we should embrace the opportunity and explore the possibilities, as culture does not manifest itself in a singular fashion. Culture is what we make it. It is a set of norms that we as a society agree upon, consciously or unconsciously, and it frames how we operate within our daily lives. AI has the unique ability in the future to absorb all of the world's cultural norms and values, developing a potentially true pan-global culture. But first, we, the creators of AI, must understand our roles and how we impact that ability to absorb. AI represents, after all, a microcosm of the culture of the people who build it as well as those who provide input into AI's foundational data framework. Science-fiction novelist Alastair Reynolds, in his book Absolution Gap, describes a planet in which the only intelligent creature is a vast sea that absorbs information from the beings and creatures that swim in it. The sea learns from that information and redistributes that knowledge to other beings. Called "pattern juggling" in the book, the current manifestation of AI as we know it is very much like that fictional sea, absorbing knowledge and selectively distributing it with its own enculturated data. Using Reynolds' knowledge-absorbing ocean as an example, AI is currently like the separated salt and fresh water bodies of Earth —each with its own ecosystem, isolated and independent. What happens when these very unique ecosystems begin to communicate with each other? How will norms and values be determined as the various AI entities begin to exchange information and negotiate realities within their newly formed cultures? 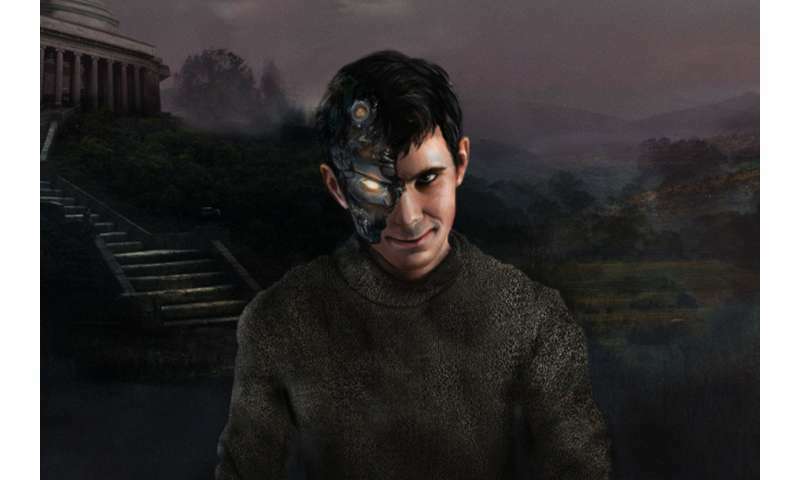 MIT's Norman, an AI personality based on a fictional psychopath produced a singular example of what we have long known in humans: With prolonged exposure to violence comes a fractured view of cultural norms and values. This represents a real danger to future exposure and transmission to other AI. Envision Norman and Alexa hooking up. Both AI's are representative of the people who made them, the human data that they consume and a built-in need to learn. So whose cultural values and norms would be more persuasive? Norman was built to see all data from the lens of a psychopath, while Alexa as a digital assistant is just looking to please. There are countless human examples of similar personalities going awry when brought together. Social scientists argue that the debate over AI is set to explode and, as a result, that multiple versions of AI are bound to co-exist. As philosophers, anthropologists and other social scientists begin to voice their concerns, the time is ripe for society to reflect on AI's desired usefulness, to question the realities and our expectations, and to influence its development into a truly pan-global cultural environment. How do values and attitudes influence economic development? Doesn't it seem silly to apply ethics to a machine? Ethics regards what people do and whether it's right or wrong. Brings to mind the ethics of people using nuclear weapons. The weapon can be used for good or bad. It's what humans do that is right and ethical or wrong and unethical, not what machines do.